At Mixlr we regularly release updates to our broadcast app to make the app more stable and reliable, and to add new and exciting features to improve your broadcasting experience. To take advantage of these improvements it's important to update your app regularly. 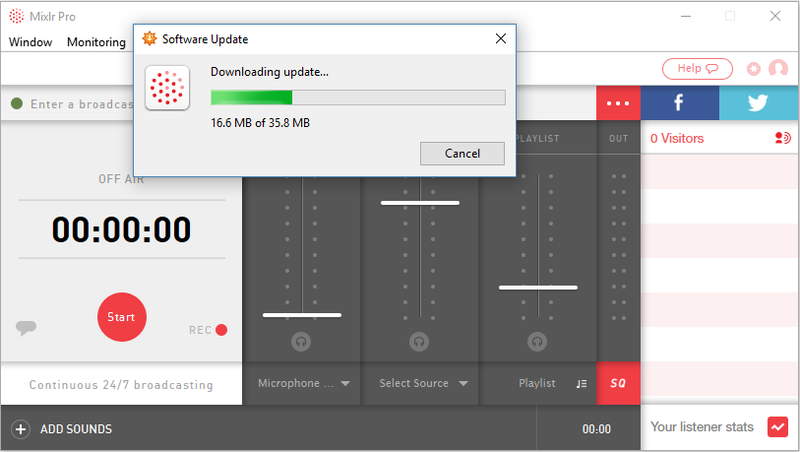 This article shows you how to update the Mixlr broadcast app on a Windows machine. Click 'Install update' and the download will start. 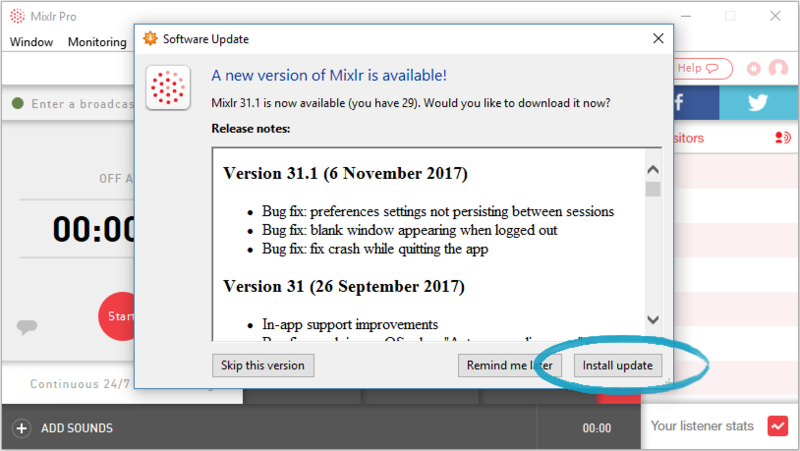 If you prefer not to update your software immediately - if you're about to start a new broadcast - you can click 'Remind me later' instead, and you'll see the Software update the next time you open Mixlr. You can also update your app to the latest version by downloading it directly from the Mixlr website. See this article for how to download the app from the Mixlr website.